Make your next presentation more effective. 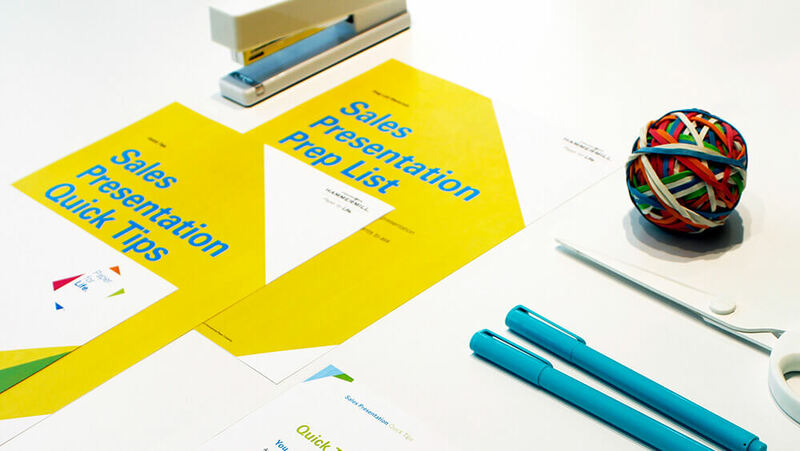 A great sales presentation is short and to the point. It connects your products or services to your customers’ needs. 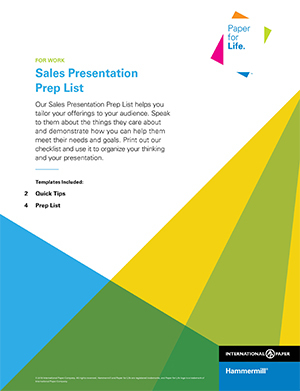 Our prep list and templates help make putting together an effective presentation easier. Remember to print important work materials on high-quality paper such as Hammermill® Premium Color Copy 28LB. printer paper.